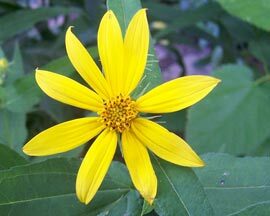 Woodland Sunflower is a wonderful plant for the south edge of a woodland garden as it prefers to spend less time in the sun and more time in dappled light. 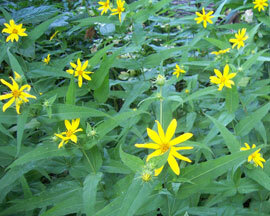 Large bright yellow flowers offer much needed mid-summer colour to shady areas. Even able to grow in dry sand. The seeds are a favourite bird food in early autumn.